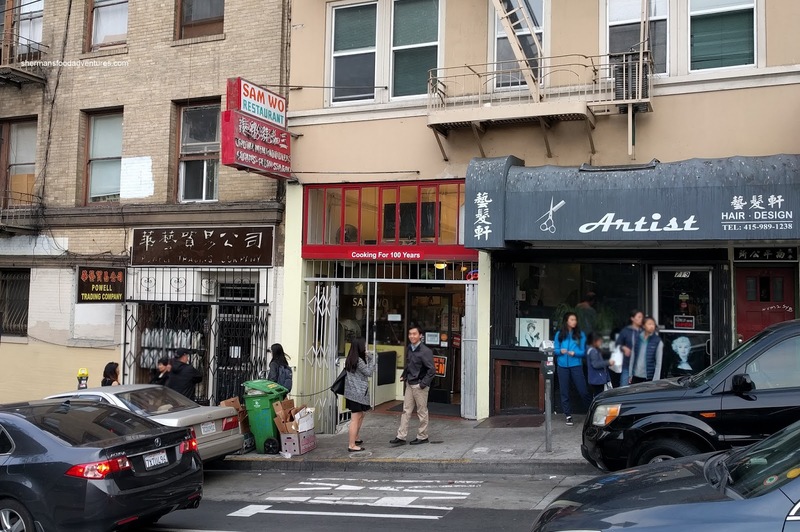 For those about to leave comments criticizing me on even thinking of visiting the legendary Sam Wo in San Francisco, please be aware I've visited the city and surrounding Bay Area over a dozen times. So with that in mind, I'm acutely tuned into the Chinese food scene (or lack of). 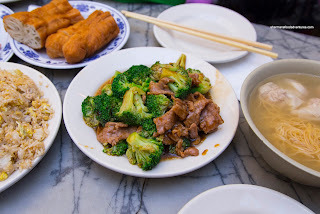 Hence, I was very skeptical with Eater putting Sam Wo in their 38 Essential Eats list. Despite all the warning signs and the fact I live in Vancouver (that happens to have some of the best Chinese food in North America and the world), I had to see for myself why Sam Wo is so beloved with lineups that border on incomprehensible. 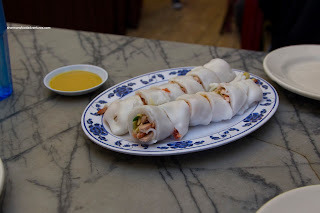 We went at opening and secured a table immediately and ordered the signature item being the BBQ Pork Rice Noodle Roll served with their famous hot mustard. When it arrived, it looked more round than the usual rice noodle roll and completely overstuffed with lean BBQ pork, cilantro and egg. Since it was served lukewarm, the rice noodle was a bit gummy. However, if it was hot, it would've been on point due to its elasticity. The roll itself was nothing special, but the dip was money with a vinegary sharpness. Since we were ordering congee, my son wanted to get the Salty Donut. That we did and it was not crunchy and overly dense. This was not good at all. About that congee, we got the Fish "Jook" as it was phonetically translated on the menu. 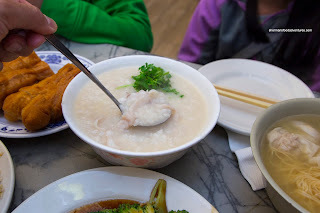 Fairly silky with soft grains of rice, the congee was medium-thick in consistency. It was lightly seasoned where the sweetness of the fish came through. There was a considerable amount of what we thought was some type of cod (possibly snapper?). The fish was not particularly flaky and moist. It was a bit chewy for some reason. Moving not the Wonton Noodles, it reminded us of the 1980's. Reason being? 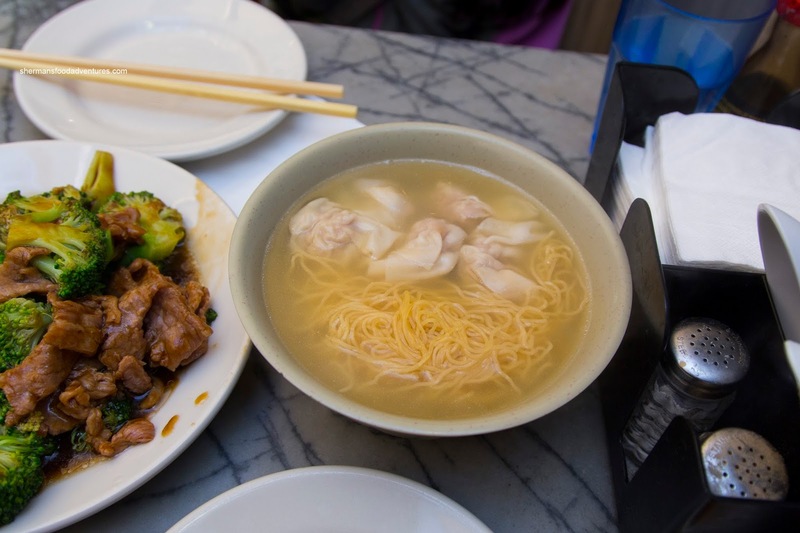 The wontons were all pork with some water-chestnuts. If we compared it to similar wontons, these were good with tender bouncy pork that was mildly-seasoned. The noodles were too soft and over done while the soup was pretty bland. 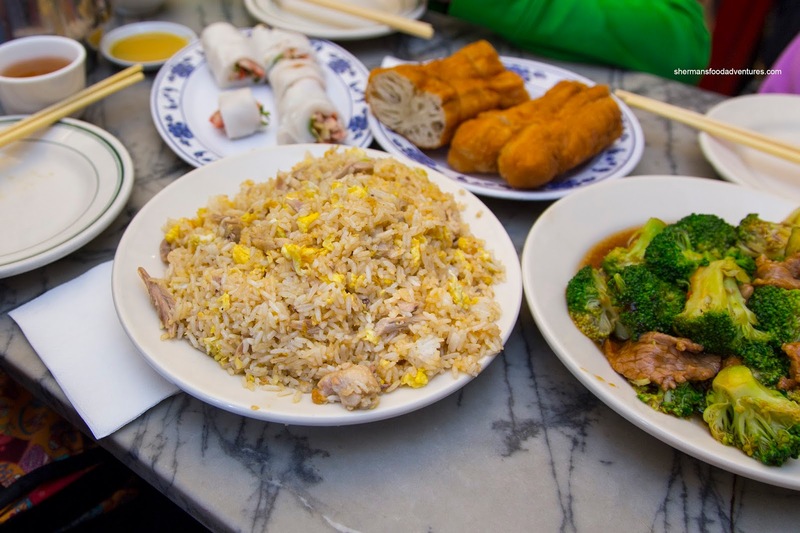 To add more carbs, we got the Duck Fried Rice (minus the green onions) and it was pretty good. The rice was dry and fairly nutty while not greasy. There was ample amount of tender duck, but an equal amount of duck skin which was not appealing. We found that the amount of seasoning was just right. Our last dish was the Broccoli & Beef which was below average. The dish was far too watery and the broccoli was overdone. The beef was somewhere between chewy and tender. As you can probably guess, we weren't super impressed with the food at Sam Wo. Sure, it is more of an ol' skool style of Chinese food reminiscent of the 80's, but even with that being said, I've had better Cantonese cuisine in San Francisco during the 80's. Before moving to Vancouver, I lived in California for 10 years. There were not a lot of good Chinese restaurants and Sam Wo was the go to chinese restaurant. The food was good for the area. 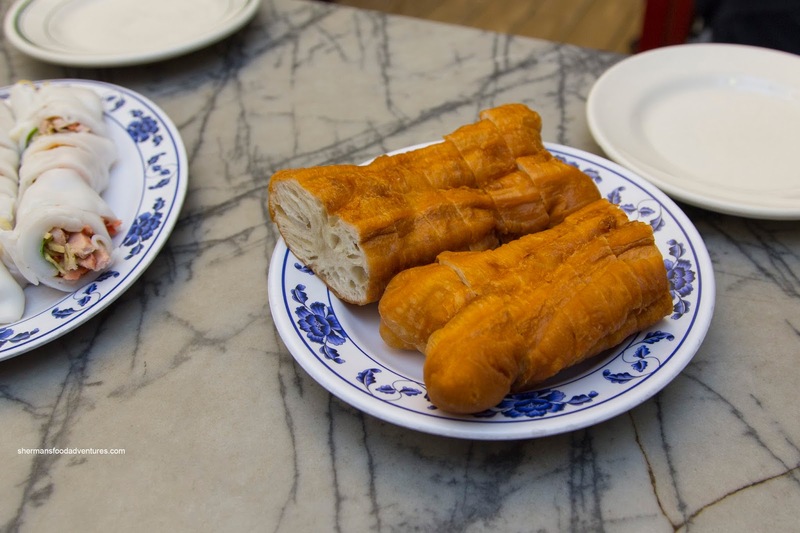 Since my move to Vancouver, i cannot imagine gonthere and the enjoy their food like i used to.